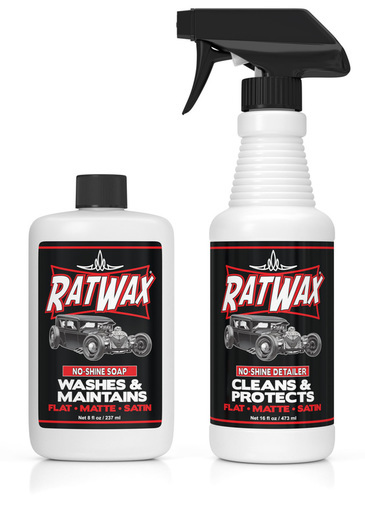 Rat Wax ® No Shine Detailer and No Shine Soap are the first products of their kind. They are designed specifically for vehicles with matte paints & vinyl wraps. 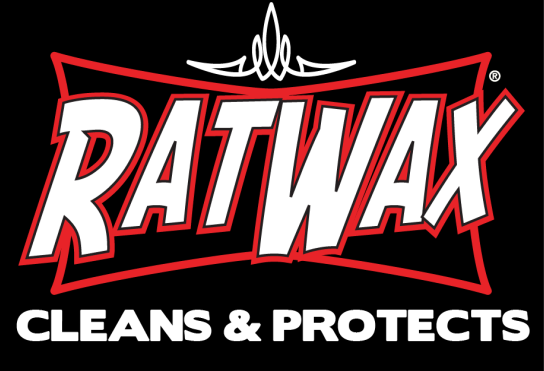 Rat Wax ® cleans and protects in one easy step. First, Rat Wax removes dirt, dust, water spots, grease, tar, fingerprints, grime, oil, fuel, & bird droppings from your vehicle's unique finish. Second, Rat Wax leaves a clean natural look and an invisible layer of UV protection against the fade of the sun, rain, and other harsh elements. No Shine products to wash and clean your vehicles.﻿﻿ PLUS IT GIVES YOUR FINISH THE UV PROTECTION IT NEEDS! • CLEANS & PROTECTS Flat, Matte, & Satin finishes in one easy step. • CONTAINS NO WAX, NO SILICONE, NO PETROLEUM, NO ALCOHOL. • LEAVES NO STREAK! LEAVES NO RESIDUE! • REMOVES dirt, dust, fingerprints, water spots, bugs & bird droppings. • Detailer has UV PROTECTION to eliminate fading & chalking of finish. • NO SHINE FORMULA leaves a natural clean flat "sheen". • Cleans metal, vinyl,rubber, plastic, chrome, aluminum & glass. ﻿If you are not completely satisfied with the product, please return the bottle of the unused portion with the sales receipt within 30 days of purchase and we will refund you 100% of the product purchase price*. No questions asked!